Winterizing not only makes your garden look better during the cold weather months, but will make for easier work in the spring and it is essential in cold-winter regions, where freezing, drying conditions can tax even hardy plants. Start closing your garden down when there is frost in the forecast or the temperature consistently starts to drop to the low 40’s or mid-30’s (Fahrenheit), usually around late October or November. One of the first things you should do is clean all the debris from your garden. Get rid of dead foliage, leaves, roots, stakes and row markers. 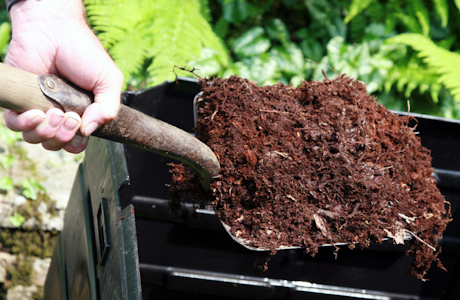 The debris you clean from your garden can be added to your compost heap which will be a big help come spring. You want to be sure, though, not to add any diseased debris or pest infected dead leaves or stalks in your compost pile. You don’t want to accidentally spread a disease from this year’s garden to next year’s. 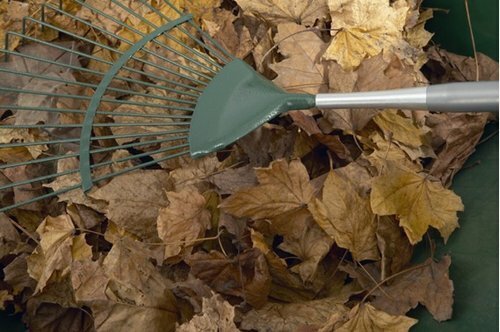 Rake leaves and dispose of them, preferably in a compost heap. Why is it so important to remove leaves from your lawn? Because the grass underneath the leaves still needs all light it can get. Raking leaves from your lawn also lets adequate air and moisture get to living plants in your yard. After all, you don’t want any of your lovely grass and plants to suffocate! Remove weeds, debris and invasive plants. If there’s no time to pull plants up by the roots, chop or clip off their heads before the seeds are released. Discard all seed heads in the trash pile, not on the compost heap. If you have a large weed patch, smother it over winter by covering it with a large sheet of black plastic weighted down by bricks or rocks. After you remove all garden debris, weeds and invasive plants, it’s easy to prepare beds for spring. There are advantages to testing the soil and amending it in fall. Top beds off with a 3- or 4-inch layer of compost and leave it. Winter rains will leach nutrients into the soil to give your plants a head start in the spring. Water and protect vulnerable plants from winter stress. Frozen ground locks up water, creating a drought situation, which can injure or kill plants. So give your plants, from perennials to trees, a good, long soaking before the soil freezes in late fall. Winterizing your garden also means mulching. You want to spread a light layer of mulch, just a few inches of it, around your trees and shrubs. This helps keep the underground temperature more stable throughout the winter, as well as offers much-needed protection to roots underneath the surface. 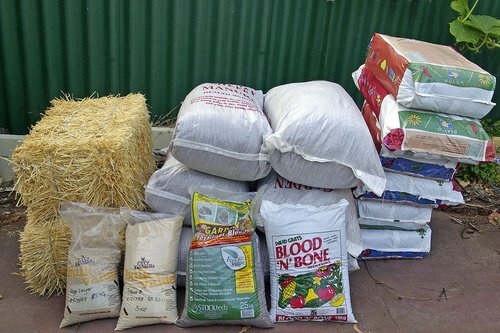 Apply a winter mulch to perennials where winter temperatures generally fall below minus 10 degrees F. Simply lay a lightweight organic mulch, such as shredded autumn leaves, pine needles or straw, over beds to protect plants from winter’s extremes. Avoid more compact mulches and whole leaves (which can mat), since they can suffocate plants. When winterizing your garden, you will also want to take the time to plan next year’s vegetable garden. After ridding your vegetable garden plot of debris, old leaves and roots, plan where you want to put next year’s vegetables. Take a pad with you out to the garden and make a sketch of where you want to put all your lovely vegetable plants in the spring. Doing this helps you make the most use of your garden area. No space goes unused if you take the time to plan—which means more delicious vegetables for you next summer and fall! Dig and store tender bulbs and corms. In cold-climate areas, fall is the time to rescue the bulbs and corms of tender summer plants such as caladiums, cannas and dahlias, which will freeze and die if left in the ground over the winter. Dig them up as the foliage turns brown in early fall, trim off the remaining foliage or flower stalks, let them air dry for a week and then layer them in paper bags filled with peat moss or vermiculite. Store the bags in a cool, dark place, such as a basement or cool closet. You’ll also want to be sure you’ve taken proper care to winterize your garden equipment and tools. Drain the gas from your lawnmower’s tank, weed eater and other garden equipment. You may also want to put the battery from the lawnmower and any other garden equipment into storage where it will remain at a steady, above-freezing temperature. This will help lengthen the life of the battery, which is good, because there’s nothing worse than getting ready or needing to mow only to find your lawnmower battery is dead. Take the time to put your tools and gardening utensils away for their long winter’s nap too. Make sure they’re stored where mice can’t nibble on the handles. Also make sure they’re all cleaned before you store them away. And yes, please throw away any tools that are worn out and replace them or start dropping hints to your family and friends about tools and equipment you need for gardening. This not only gives your family ideas for holiday gifts, it ensures that you won’t be all excited and ready to start next year’s gardening only to have tools breaking on you left and right, leaving you frustrated and having to make extra trips to the local home improvement store. Now that your garden tools are ready for winter, the next step in winterizing your garden is to hit the local bookstores (or favorite online gardening site). Once the work of winterizing your garden’s behind you, it’s time to curl up on the sofa in front of the fire with a lovely stack of gardening books beside you. Because the only thing that comes close to bringing you the same enjoyment that being in your garden does is being engrossed in a great book about gardening!